Interests - Likes pony riding, bug hunting, dog training, bike riding and swimming. Teddies, especially TY ones. 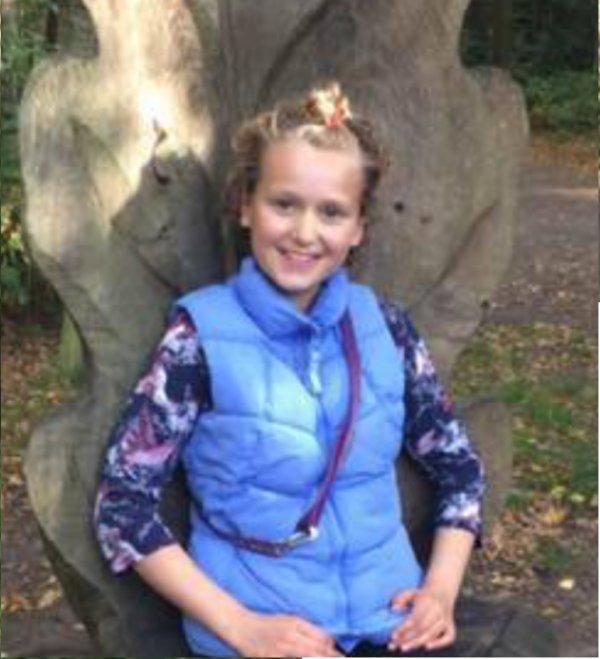 Grace was diagnosed with acute lymphoblastic leukaemia in June 2016. She had been suffering from breathlessness, pains in her legs, a rash on her legs and high temperatures. 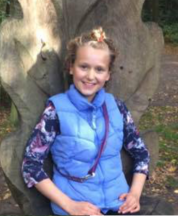 Grace went for blood tests one morning and at quarter to three that night the out of hours doctor knocked on the door with the findings that said we had to go to A&E, as the bloods were wrong. Grace will have two and a half years of chemotherapy and treatment. She is currently spending lots of time in hospital as she is in the intensive part of the treatment. Grace had her LP and bone marrow check on the 22nd of August and it’s all come back clear and final chemo was the 26th and we had the biggest party ever! We would like to thank post pals from the bottom of our hearts for all the help and support throughout our tough times. Grace starts Secondary school on Tuesday and rings the bell tomorrow! (Monday) We would like someone else to become a pal now and in time we would like to be the one sending the well wishes. Take care and see you soon. Grace is in maintenance and is doing well, currently. Grace still needs phosphate as a supplement which is nasty to take and still takes posaconazole as a precaution, because of a fungal infection early stage treatment, but which allows her to see her pony. We have had two visits to hospital this week as Grace has had a racing heart rate and pain in her legs. All okay now, although Grace does have a cold, but has also been on 100 percent chemo for many weeks. Hopefully this will be reduced to 50 per cent tomorrow. Grace has just got a new pony as she has outgrown her other pony, so we have put her on loan. Grace is now in maintenance and hopefully can have her Hickman line out in the next few weeks. Unfortunately when Grace had her lines removed previously the surgeon found a blood clot when putting the new ones back in and so now twice daily Grace has an injection of enoxaparin which has been bruising her leg quite badly. Presently the NG tube is out and Grace is trying her best to keep eating and so avoid having another one put back in. Fingers crossed Grace keeps well and continues to get stronger and keeps going on the tablet chemo.